OH GOD they have gone into TV and now they are sucking more people into their web of dissatisfaction. Just wait the complaints are gonna start to roll! Just because you have a lot of reads on this website, doesn't mean people are agreeing with it everytime. HAHHA don't flatter yourself! Lana is obviously working for Telus. 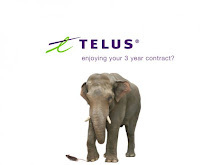 This site and post absolutely made my day....after being a Telus Mobility customer for over 10 years, I cancelled my account after a long distance move. Took over a phone from my husband from another carrier. 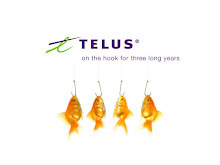 I thought I did my research before the move, calling telus mobility and asking how this process works, and I was told to cancel on my billing date. Ok. Fine. So I don't use the phone at all after the move as I don't want to get one of those ridiculously "pro-rated" bills and wait for my billing date to arrive. Happy as a kid on Christmas morning to be rid of these (insert derogatory word of choice) people, I called to cancel. I'm aware of the early termination fee- but what the last rep told me over a 2mos ago was not that it would take them an ADDITIONAL 30 days from the date of CANCELLATION to actually CANCEL the account!! WTF?! As IF the 2500$/year I've spent over the last 10+ years...PLUS the termination fee of 320$ ISN'T ENOUGH??? They need 1 more fricken month out of me??!! Wow. As long as I LIVE I will NEVER give ANY BRANCH of this pathetic excuse of a company any of my business again. I'm so furious I could slaughter the cute little animals on their commercials. That is all.